This is your best option if more than 7 frets on your guitar are worn more than a leveling will restore. Also if your fretboard needs to be leveled or re-radiused, or you want to change fret size or material. 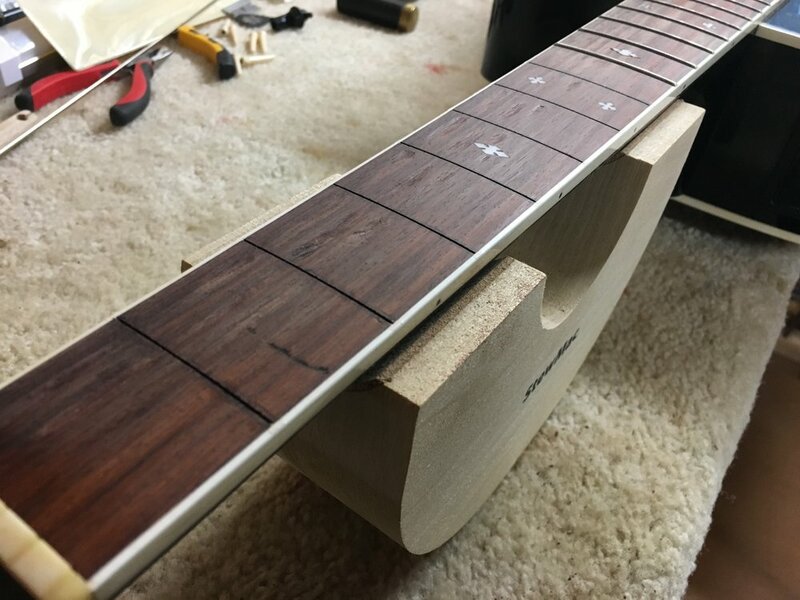 Includes: removal of old frets, leveling and radiusing of fretboard, installation of fretwire of your choice, fret level, recrown and dress, our complete action setup and any minor finish touch up on the sides of the fretboard (if needed). Materials not included. Fretwire will usually cost $15-20.